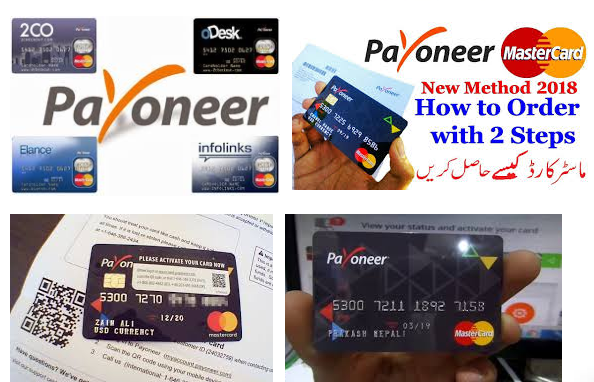 Get Payoneer Debit Card Master Card Free Complete Guide 2018 Payoneer Master Card free in Pakistan or any country full guide 2019 updates debit card Payoneer is a company that offers famous MasterCards that can be used anywhere in the world. It was founded in 2005 as a New York-based financial company, but has been exposed to users due to valuable services in recent years. 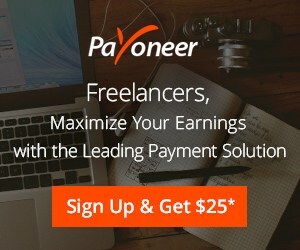 Now Payoneer Master Card allows you to receive payments from all freelancers and Payoneer can withdraw money from local ATMs in all countries including Pakistan. Payoneer is an additional benefit as it offers the option to use a US bank to receive payments from US or EU companies with MasterCard. You can receive payments from more than 800 famous US companies + EU companies registered on your Payoneer card. Also, if you work directly with a customer, you can also receive a payment from Payoneer by sending a payment request via Payoneer. Later in this article, you will find that you can use your payment request feature to directly charge your Payoneer balance if necessary. When applying for an account with Payoneer, a virtual account will be created at Bank of America. With this (and more bank accounts in different accounts), MasterCard will be shipped to you. You can now use this virtual bank account to receive payments from Payoneer partners or direct customers. You can then use the MasterCard provided to withdraw money from a support ATM in Pakistan. You can also withdraw directly to a local (Pakistan) bank account using a bank withdrawal service, and the bank withdrawal service provided by Payoneer is among the fastest of all the other banks we have used so far. Simply Signing up for an account with Payoneer is free earn $25 Click Here. You can create an account directly on your own website, or you can sign up through a partner like the one mentioned above Upwork and Fiverr. If you have already started working with a Payoneer partner, you will need to sign up through a partner since the sign-up process is easier and easier. If you have not yet started working with any of Payoneer’s partners, you can visit this URL to create one. To create a Payoneer account, you’ll need to provide your local bank account information. IBAN is required. If you do not know what it is, please contact your bank (here in Pakistan) to get an IBAN for your bank account. You must provide proof of identity during or after your subscription is completed. You can scan and provide CNIC, a driver’s license, or government verification documents that show your name and address. When interacting with your last subscription process, Payoneer was asking you to provide a scanned document in English. If your documents are in Urdu, you must translate them in English by any means, or Payoneer may reject your documents. You will also be asked to fill out a questionnaire. The questionnaire contains simple questions asking you to provide information about your sources of income. Depending on the nature of your online activity (eg blogging, freelance, affiliate marketing, etc. ), you can enter information and submit forms. Payoneer may retain your money unless you complete and submit the form. While creating an account at Payoneer, you need to keep things important to your mind. Here is a list of things to consider to get easy approval and ensure that Payoneer’s MasterCard is successfully delivered to your door. A local bank account is required. If you do not have one, please open an account at the bank first. Provide an exact (full) name that matches all academic / government documents. Please provide your complete address. Please double-check your local postal code. If you do not provide a complete address, you may not receive your Payoneer MasterCard. The Partner Network provides an easy option to withdraw money from the User Accounts area. For example, if you work in Upwork, you can find Payoneer as a payout option in the earnings section. Remember that you must link your Payoneer account to Upwork or to another partner service to withdraw money. How to order Payoneer MasterCard? As many of you know, Paypal is not working in Pakistan, so the only alternative to paypal is Payoneer. Because most companies can get payouts online. Now that you have decided to use the Payoneer MasterCard, you can go to the Payoneer website to create an account and order a card, but provide a direct link from where you can sign up for Payoneer and receive a $ 25 free credit card activation and minimum If you pay $ 100, you will receive a $ 25 bonus. OK, please fill out all details accurately and accurately. Especially if you enter the correct address, you can get the card easily in time. If you do not receive your card at the scheduled time, please contact Payoneer Live Chat Support. We will then send you another card. How to activate a card? If you wait 10-20 days after ordering a card, the first thing you can do after you receive it is to activate it. You can activate your card by signing in to your account. If you see an Activate Card and Activation link to generate a new PIN for your card, simply use the card with your MasterCard logo to use your card to shop online and withdraw your money. That’s it. If you want to receive money directly from a customer or customer, you can create a payment request in the Payoneer Account area. The “Receive” menu has a link called “Payment request” and links to a simple form where you can enter client details. By filling out and submitting the form, you not only can send e-mail to customers, but you can also use a credit / debit card, eCheck to pay directly through the customer and some other options. The payment requested by the customer usually takes a few days, and it can take up to a week or two for the customer to choose eCheck. Once the verification and approval mechanism is complete, funds will be credited to your account. For hygiene and many other services, money can be loaded immediately. It takes a few minutes to load it immediately and Payoneer will charge an additional fee of $ 5 or less to use the funds immediately in your account. Payoneer Master Card Free offers two ways to withdraw money from Pakistan through bank transfers and MasterCard prepaid cards. These two services are very robust and we recommend a bank transfer method if you are not in a hurry to get paid. If you use the bank withdrawal option on business days (Monday to Friday), you can pay to your bank account within 4-5 hours. In the case of other standard international bank transfers, sometimes it takes several weeks, but using Payoneer is not only a very quick procedure, but also the conversion rate of USD to PKR is reasonable. If you use the bank withdraw option on working days (Monday – Friday), you can pay to your local bank account within 4-5 hours. In the case of other standard international bank transfers, sometimes it takes several weeks, but using Payoneer is not only a very quick procedure, but also the conversion rate of USD to PKR is reasonable. Payoneer’s prepaid MasterCard is supported by selected banks in Pakistan. I use the MCB (Islamic Commercial Bank) ATM in my city and I have not had any issues. I personally did not try other banks directly, but they reported that they support ATMs from Standard Chartered Bank (SCB), Citi Bank and Faysal Bank. MCB charges Rs. It is 200 times per withdrawal and Rs. A maximum of 20 transactions, including 20,000 Rs per transaction. 200,000 was allowed, but this information should not be taken as accurate information when the transaction fee and the maximum allowable amount change from bank to bank. Call your local bank and ask them to activate their e-commerce sessions on their credit / debit cards. Once your e-commerce session is activated, open the payment page link created for the payment request and pay using your debit / credit card. Once you’ve completed your payment, it will take a day or two (or even more) for your money to become available in yourPayoneer Master Card Free account. Another way to supplement your Payoneer account is to purchase Payoneer funds from another fellow Pakistan. There are many users who sell Payoneer $ instead of PKR. Find people you trust on Facebook or other platforms and make deals. They will lead you further and you will be able to get Payoneer $ in exchange for Pakistan Rupee. The above information is enough to explain what Payoneer is and explain how you can use Payoneer. You’ll have more posts detailing the subtopics. On the other hand, if you have any questions or have the latest information about Payoneer to share with others, please leave your comments below. Do not apply for more than one card at a time, but wait until you receive the card. Payoneer does not allow you to make multiple or fake cards if you request another card on time. If you are banned from Payoneer or Pakistan, please be honest and clear to save the country and images. If you have any questions or suggestions, please let us know. I am especially pleased to hear your voice on the payoneer MasterCard, especially for Pakistani users.